In a recent article for diaCRITICS, Guernica author David Joiner reflects on how living in Vietnam inspired his decision to become a writer. Joiner begins by explaining that he “never considered becoming a writer”, it was only when he turned 25 and decided to volunteer in the Vietnamese countryside that he became interested in literature. Joiner explains, “I’m convinced that had it not been for that year volunteering in a slow, countrified environment, where I had few distractions and the life most familiar to me was contained in novels stacked on a small bedroom bookshelf, I never would have become a writer”. Joiner continues to explain the various obstacles that stood in the way of realizing this ambition: “I come from a family of scientists; I was an underachieving student most of my life; I majored in Japanese studies; I never took either a creative writing or a literature course in college; a graduate school professor failed me in a literature seminar and told me repeatedly that I’d never become a writer”. In addition to numerous rejections from publishing houses and unanswered queries to literary agents, Joiner states “I wasn’t born on an easy path to literary anything”. Vietnam proved to be the catalyst for Joiner’s engagement with creative writing. Besides having little else to do in his free time while living there, Vietnam also provided different opportunities that Joiner would not have encountered at home in America. He states, “[Vietnam] has given me something different, something more, something valuable….it was life in Vietnam that influenced the writing of my own novel. By this I mean, in addition to my own lived experiences, the people I got to know, the stories they were kind enough to share, their attitudes and behaviors that I came to understand and respect, and certain aspects of their culture that over time I absorbed”. 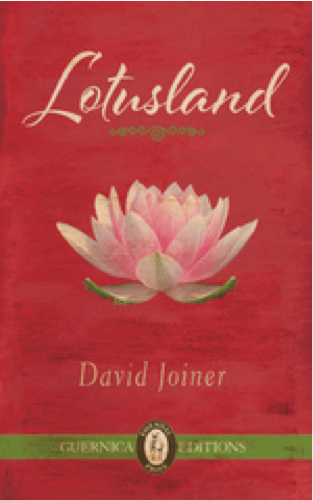 These experiences were eventually given form in David Joiner’s Lotusland, released by Guernica Editions in Spring 2015. Lotusland tells the story of Nathan Monroe, a 28-year-old American living in Saigon who falls in love with a poor but talented Vietnamese painter. After failing to protect their love from her desperate chase for a better life in America, Nathan is hired by his old friend Anthony to work at his real estate firm. Only much later does Nathan discover that Anthony has intended all along for him to take over his job and family so that he, too, can escape and start his life over in America. Tagged with David Joiner, diaCRITICS, Lotusland, Vietnam.